At 180 Medical, we love to keep our customers updated on the latest catheter and ostomy products to hit the marketplace. ConvaTec’s ease™ Strips are a fantastic new addition to 180 Medical’s ostomy showcase. 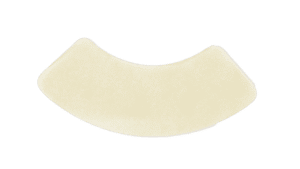 While they’re similar to the barrier strips that you may already use, ease™ Strips have some seriously advanced features that can change your ostomy game! Take an in-depth look at this new ostomy product. What Are ConvaTec ease™ Strips? ConvaTec’s new ease™ Strips are thin and flexible barrier strips, and they work to keep your ostomy skin barrier in place for additional security. Have you been living with your colostomy, ileostomy, or urostomy for a while? If so, you’re probably aware of how the edges of an ostomy wafer can sometimes lose its stickiness and begin to lift away from the skin after prolonged wear-time. To combat this, apply ease™ Strips around the edges of your ostomy skin barrier. Immediately, you’re more protected and at ease. The top layer of each strip is water-resistant while staying breathable, which makes wearing ease™ Strips great for bathing and swimming. No more fears about sudden leaks from loosening ostomy appliances while you’re having fun at the pool or just taking a relaxing bath. In addition, if you’ve had a bad experience with other brands of ostomy barrier strips that are uncomfortable or irritate your skin, ease™ Strips are worth a try! They are breathable, ultra-thin, and transparent. They were created with hydrocolloid materials to have the look and feel of a second skin. As a result, ease™ Strips are so comfortable, wearers barely even feel them. In fact, ease™ Strips are flexible enough to move with your body as you move while staying strong and secure. Curious how easy the ease™ Strips will be to use? Check out this helpful video straight from ConvaTec. This will go over the simple step-by-step instructions to apply your ease™ Strips for the right amount of security you need from your ostomy skin barrier. 180 Medical is a proud supplier of all of ConvaTec’s high-quality ostomy products. Our highly-trained, friendly Ostomy Specialists can help you find the perfect fit of ostomy products and accessories to suit your individual needs and daily routines. We’re ready to help turn your life around! Give us a call today to get started.